Perched on a hill overlooking the ocean our spacious, stylish apartments are located just a short walk from everything you need including Mooloolaba’s patrolled beach, restaurants, cafes and boutique shopping. Why stay anywhere else? Find out more about our apartments here. Situated perfectly between Mooloolaba Beach and Alexandra Headlands on Queensland's Sunshine Coast, our central location and modern guest facilities make Osprey Apartments a perfect choice for both families and couples. Mooloolaba was also recently voted #8 best beach in Australia on TripAdvisor's Travellers Choice Awards. 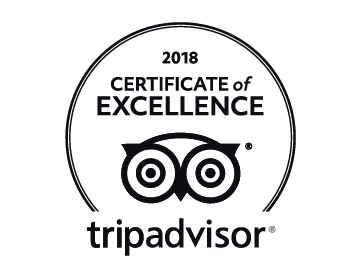 Osprey Apartments also received the 2018 TripAdvisor Certificate of Excellence! Watch a video tour of Osprey Apartments below!